Wellness Plus is a full spectrum Natural Living Community of natural healing professionals and individuals who are serious about all parts of an all-natural lifestyle. We are the only one of this kind on the East Coast. We provide a full education, support and holistic healings right in our beautiful 1300 sq ft center, as well as “lectures on the road” and health fairs for corporations, government agencies, civic groups and doctor’s offices. The year 2019 is our 23rd year promoting natural healing & health. Our mission is to empower individuals to take control of their health, with emphasis on prevention, by providing up-to-date information and support – from whole food nutrition to holistic healings. Wellness Plus is 100% supported by member’s dues and by their purchases in our “Store of Mother Earth.” We have not, do not and will not accept any donations from drug or food manufacturers even though we operate on a not-for-profit basis. Therefore, you can trust the information we provide because we are a totally independent organization. For individuals and families, we provide weekly classes, seminars, workshops and cooking demonstrations. We also provide various holistic healings (see member’s benefit list) at discount prices. We have personal and group training programs in our center, as well as house call services. We also carry unusual and hard to find natural foods and supplies in our store. For natural healing practitioners, we have referral services, free corporate health fair booths to promote your business, treatment room rent starting at $200/month for one day per week, matching funds for advertising and more. Ask about our “Partner in Health” program. For further details and/or to view all of April’s activities, click here. 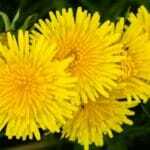 Monday April 8 at 6:30, Dandelion “The Miracle Weed” – The Health Benefits of Dandelion Root Tea, Did you know for many centuries, people have been using this “weed” to heal and regenerate the body from the inside out? No matter how you consume dandelion, whether it’s as a root tea or the greens from the fresh plant, the health benefits are extraordinary! Jim Cordie, “Vegan Jim” will review an article by Michele Schoffro Cook Ph.D., DNM. and a short video to help you understand why and how to use this Miracle Weed on your road for drug free healing and better health. After the talk, we will have “Tea Time”. We supply the dandelion root tea and you bring the snacks. A typical English Tea includes tiny sandwiches, crusts removed, with cucumbers and cream cheese, or eggs and olives and scones served with jam. You can be creative with your own VEGAN version. Monday, April 15 at 6:30, “Food Combinations & Digestion” – Our bodies are designed to achieve optimum digestion and good health. We need to become more conscious of what we eat and treat our stomachs the way we treat a baby, gently. We need to eat less and simplify our meals. These and more will be discussed and presented by Judy Filipkowski. Monday, April 22 at 6:30, “The Power of Green” – By now we have learned that green foods need to be an important part of a healthy diet. But do you know why? What is so special about green foods, as opposed to other plant-based foods? Did you know that our bodies can use chlorophyll (a major green ingredient) for healing purposes, even though we are not plants? And, that all green foods are not the same? Come to find out why our bodies seem to know that they need green foods! Presented by Dr. Chuck Powley. Monday, April 29 at 6:30 pm, “Support Group Meeting” – Reduce or Even Eliminate Drugs! If you are one of the smart people who are either thinking or already believe “To be medicine, first do no harm”, whether you want to reduce the drugs that you are taking or just want a safer natural alternative to help your body to heal, we are here to support you. Please come and bring your ideas, stories, concerns, challenges, questions or anything you would like to share. Together we will be coping better. We guarantee you will feel more empowered and supported after spending this evening with like-minded people in your community. Use the form below to register for event or class and then make payment. Dandelion root tea (3 grams). Redeemable on Thursday night classes in April (Apr. 11, 18 and 25). To qualify you must register for the classes IN ADVANCE (by calling (302) 478-3782 or email powley@verizon.net) AND attend both the exercise class (although you can choose part or all of the workout according to your health condition) and Natural Healing class on the Thursday you have registered for. Look and feel younger and move easier. Don’t let your muscles be an obstacle. Stretching helps refresh lymph and venous circulation. We will learn the benefit of each stretch to help us understand its importance. Pilates is known for core (center of gravity muscles) strength and support training. Strengthen your body and gain better balance. Dr. Demond will explain the benefits of each position. Gentle stretches and meditation to relax your mind and body as well as stretch and expand your muscles! For class schedules, use Calendar Tab under Events & Programs in menu above or click here. The focus is on pure healing essential oils that are safe, have a great aroma, versatile and may help with many symptoms and to ease aches and pains. What are they? How do I use them? To find the answers and learn more about these wonderful natural remedies come and visit us at our workshops presented by Shirley Rineer. Click here for schedule. Our store features natural whole foods and supplements, as well as handmade jewelry and crafts. We specialize in organic pearl jewelry and Feng Shui enhancers. For more information, use tab in menu above or click here. Read stories of inspiration and success about people who through the use of the Wellness Plus health and wellness program have restored themselves to true health without the use of drugs or surgery. Their stories include dramatic weight loss, decreases in cholesterol, reversal and/or elimination of degenerative diseases such as type II diabetes, heart problems, cancers and more. Frequently, users of the Wellness Plus program have been able to discontinue the use of all or some medications. Click on the “Testimonials” tab above. Start your day with the Wellness Plus Delaware Breakfast Shake! Our breakfast recipe is the perfect choice for a nutrient-dense meal in the morning. We encourage you to step outside your comfort zone. Enjoy this breakfast shake which will nourish and heal instead of just getting you to the next meal. If you cannot purchase any of the ingredients locally, contact us at 302-478-3782. To view recipe, click here. 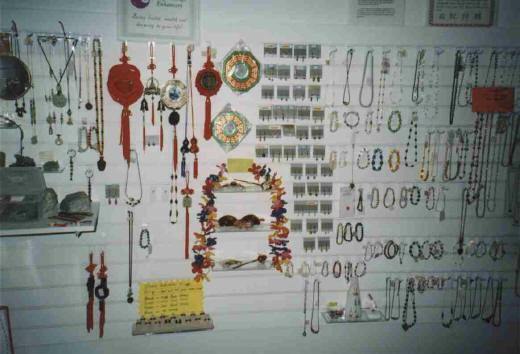 The “Bead Society” is an affilate of Wellness Plus Delaware specializing in organic pearl jewelry and Feng Shui enhancers. The Bead Society meets monthly on Saturday afternoons. These meetings include jewelry making classes and the option to purchase pre-made jewelry. Jewelry making classes require pre-registration. To register, call Shirley at 302-999-7687 or Jane at 302-478-3782. For more information and details, click on the “Delaware Bead” Society tab above. No Bead Society classes are scheduled for April.